Il discorso tenuto del Ministro dell’Ambiente e del Turismo Hon. Pohamba Shifeta di Namibia il 17 maggio 2015 all’EXPO di Milano in occasione del seminario dell’ONU in merito al contrasto alla desertificazione mondiale. Healthy and productive land is the starting point for the development of all of humankind. With the population of the world set to increase to 9 billion by 2050, the current state of our soils is deeply worrying. It is estimated that 52% of the world’s land used for agriculture is moderately or severely affected by soil degradation. The loss of arable land is now estimated at 30-35 times the historical rate and is affecting some 1.5 billion people worldwide. A Food and Agriculture Organisation (FAO) report from 2009 predicted that two-thirds of Africa’s arable land under use could be lost by 2025 if the trend of desertification and land degradation continues. The impact of these trends on communities and their livelihoods is more striking in Africa and other developing countries than elsewhere in the world. Climate change and the increasing frequency of droughts make dryland countries even more vulnerable. Increasing food insecurity, hunger, and a descent into extreme poverty, as the potential for instability caused by migration and conflicts over resources are just some of the impacts we can expect. 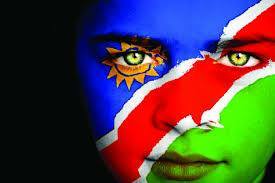 Namibia is no exception to these trends. Around 70% of the Namibian population depends on the natural resource base for their livelihoods including food, shelter, fuel and medicinal needs. There are worrying reports of the decreasing fertility of our crop-growing areas in the northern parts of the country, where over 60% of the population resides. Bush encroachment has severely reduced the productivity of our livestock sector and affects some 26 million hectares of our pastoral land and is responsible for an estimated US$57 million in annual losses to our beef industry. Severe cases of drought have become increasingly frequent – 2013 was the most severe drought for over 30 years and another drought has been declared in 2015. The national drought relief response plan of 2013 had a total budget of approximately US$79.3 million to support almost 25% of the population, which was rendered food insecure and mal-nourished due to the drought. A recent study has also showed how our land suitable for livestock will be reduced by 2080 and our predominant vegetation type will change from grassy savannah to desert and arid shrubland. This situation dictates that we need forward-looking policies and pro-active management measures so that we are able to adapt and able to thrive in ever harsher environmental conditions. It is for these reasons that Namibia has been so concerned that desertification receiving so little attention at the international level and it is also why we are so committed to strengthening the UNCCD and its mandate. 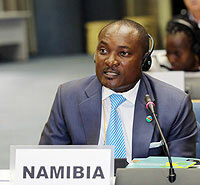 As current President of COP11 to the UNCCD, Namibia has done its utmost to provide political support and momentum to the strengthened implementation of the UNCCD at the international, regional and national level. At the national level, we have given effect to the concept of implementing land degradation neutrality as was called for at Rio+20. We have identified a baseline and indicator framework for land degradation neutrality and have also identified pilot sites for the implementation of practical interventions to take us towards land degradation neutrality. I would like to take this opportunity to thank the Executive Secretary of the UNCCD for involving Namibia in this exciting project. At the regional level, we have worked hard with our African counterparts to tackle long-standing issues, which have inhibited the implementation of the Convention on the African Continent. This culminated in a dedicated decision at the 15th Session of the African Ministerial Conference on the Environment earlier this year to strengthen African leadership in UNCCD processes. A sub-chapter of the Cairo Declaration is also dedicated to strengthening efforts to combat desertification, and a regional flagship programme under NEPAD was agreed for sustainable land management, desertification, biodiversity and ecosystems-based adaptation to climate change. 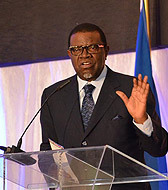 At the international level, Namibia has played a leading role in the development of the Common African Position, which pushed strongly for the inclusion of desertification, land degradation and soil erosion in the post 2015 Sustainable Development Goals. 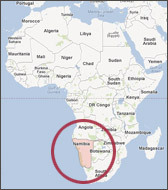 Namibia also took the innovative step with Iceland and the UNCCD to establish a Group of Friends to ensure the incorporation of issues of Desertification, Land Degradation and Drought (DLDD) into the post-2015 sustainable development goals framework. Although we are proud of this contribution and the inclusion of SDG 15.3 dedicated to desertification, drought and land restoration, we are conscious of the need to better link this goal to food security and poverty eradication. We are equally mindful of the need to implement this goal and to transfer the impacts of doing so to the most local level. All of our efforts will be in vain if our local communities and subsistence farmers do not feel the impacts from an improved international spotlight on desertification. This comes with a need for greater mobilization of resources from all sources and the need for new ways of thinking and acting. The Empowerment of Women through the UNCCD. If we are to climate proof the management of our land, then we must start by enhancing our preparedness for drought events. Time and again, we see the devastating impacts of droughts on countries in the drylands. I would therefore like to urge all of us in countries affected by recurrent drought to take a proactive approach to drought mitigation by developing and implementing national drought management policies for the improved self-reliance and resilience of our farmers and communities.